Every construction project involves different work process such as earth cutting, earth moving, hauling, concreting equipment, equipment for compaction and different construction materials etc. In case of small projects, manual labor with ordinary instruments are used. But when it is a large project we must need heavy construction equipment to finish the work comfortably. Here in this article equipment commonly used for heavy construction are given. 13. Electric Over Head Crane. 15. Single Cable Rope Way. This is great. I am learning about the different equipment. Thanks for sharing. Really, this post is very nice, I appreciate. 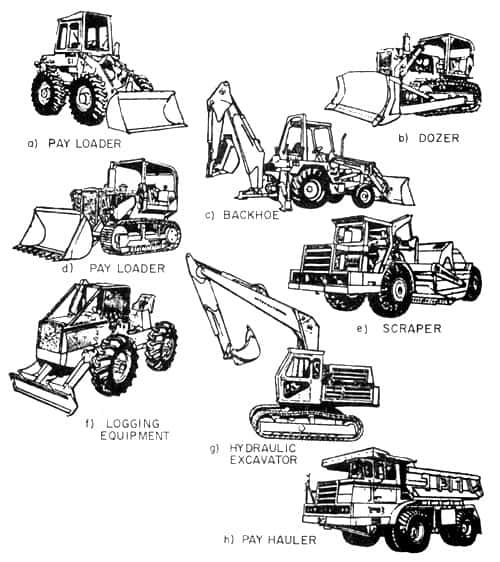 I found very helpful information related to construction equipment for heavy construction works. Thank you so much for sharing with us. I surprised by your blog, your post is, very informative and providing important details about heavy construction equipment for heavy construction works. Thank you so much for shared information with us.